African Embroidered cream and gold grand buba. 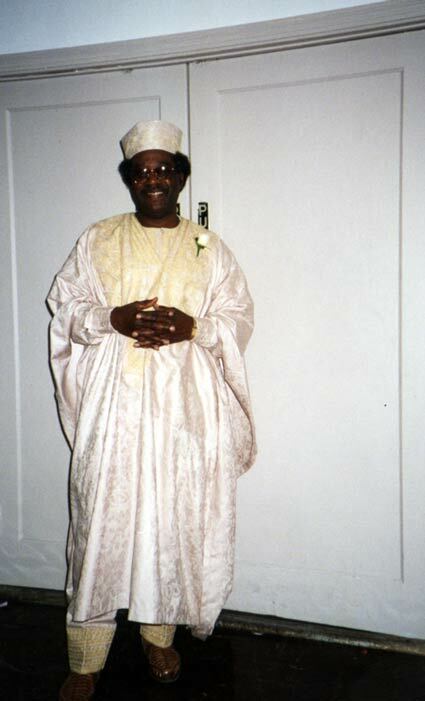 This complete ensemble consist of four individual pieces, the grand buba , shokoto (long shirt), pants and the kufi hat. These coordinated pieces are brilliantly embroidered in bright gold. (Available in most colors with gold, white or silver embroidery). One size fit all. This crafted garment is made of deluxe guinea brocade fabric.